There's single second-round game on the lineup. The Nashville Predators visit the Vancouver Canucks. 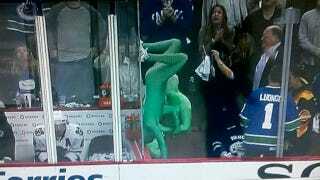 It may not mean a lot to you, but it means a lot to the Green Men.